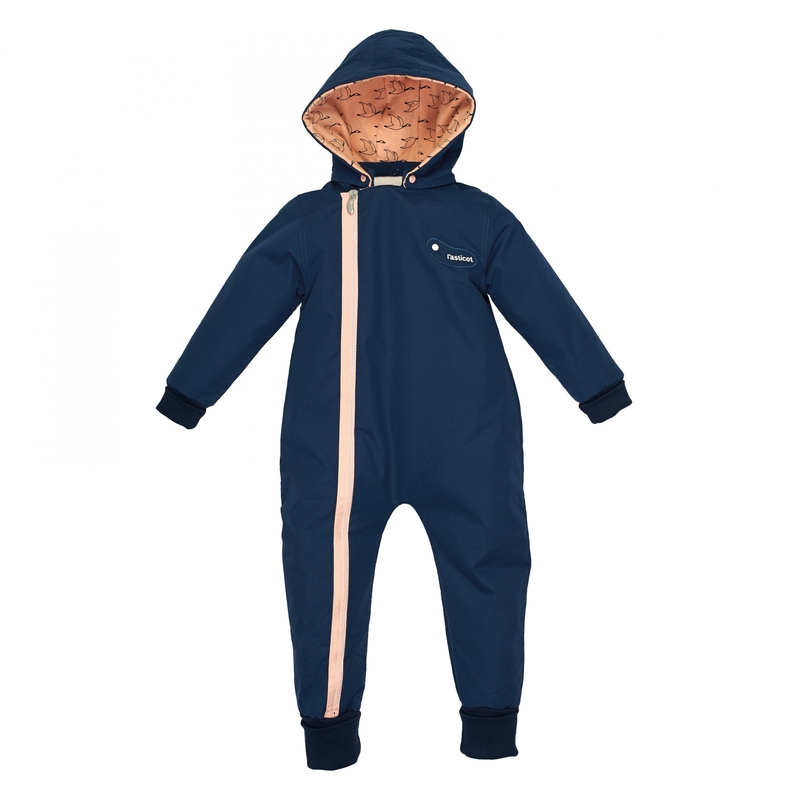 The EtaProof* suit is designed to protect your child from wind and rain in a healthier way than classic suits made out of synthetic fabrics do. The garment is lined with 100 % organic fleece, the jersey hood with organic cotton. *The EtaProof fabric is made out of the thinnest and longest cotton fibers which are very delicately woven in order to create a very dense fabric. It becomes even denser when it rains which makes the wet fibers swell and almost entirely fill in the empty spaces between the yarns. EtaProof: 100% organic cotton; lining: polar fleece 100% organic cotton EtaProof is a development of British traditional performance cotton, extra long staple fibre yarns are gently spun and twisted, then woven into an extremely dense plain weave cloth.